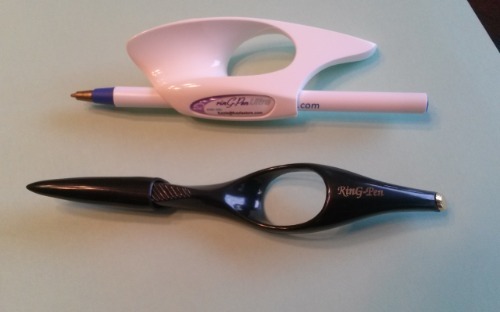 Get the best of both - The NEW Ring Pen Ultra Gripper, the Classic Ring Pen plus a free Stick Pen for your Ultra. If you have difficulty using a conventional pen or pencil or simply write a lot, these might just be the answer to more writing comfort and control. The best of both products plus a free pen.